925 Osprey Place, Port Coquitlam - SOLD | Jenny Wun - Oakwyn Realty Ltd. Welcome Home!! This LINCOLN PARK 3 bedroom, 2 bathroom FAMILY Friendly Home with DOUBLE CAR GARAGE sits on a QUIET CUL-DE-SAC!! Upstairs features crown moulding throughout, 3 bedrooms, full bathroom with jetted soaker tub, BRIGHT living room with wood fireplace, UPDATED galley kitchen with dining area & sliding door leading to your 10 x 24 deck overlooking your backyard!! Downstairs features a separate entrance with large recreation room with wood burning fireplace , full bathroom & laundry room with SUITE POTENTIAL! Updated bedroom windows, kitchen, electrical, furnace, roof (10 years) and more. A MUST SEE! 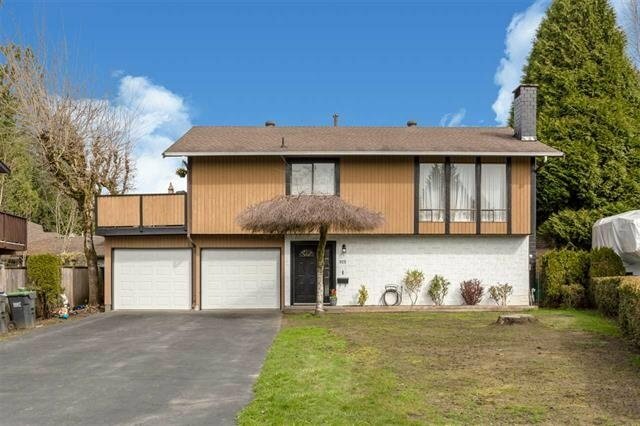 Close to schools, Transit, Recreation & Shopping!